Fall 2016 – PERFECTLY POSITIONED at the epicentre of Toronto’s most desirable neighbourhoods — including The Annex, Yorkville, Summerhill and Rosedale — Freed Developments’ newest residential project is making a statement that’s seriously sophisticated. As Canada’s top lifestyle developer, Freed has been changing the face of the city with its unique brand of design-based development for more than 20 years. With an emphasis on modern design, contemporary architecture and unrivaled amenities, Freed’s developments are more than just beautifully designed buildings, they’re lifestyle hubs where residents have it all, right near where they work and play. While the award-winning developer’s newest project, 346 Davenport, will boast Freed’s signature design and five-star location, it will also be one of the developer’s smaller and more intimate projects. Designed by the award-winning Raw Architects, 346 Davenport boasts a modern and contemporary façade of concrete, steel and sleek glass panels, and staggered geometric balconies. The nine-storey tower is characterized by wistfully sprouted greenery and ultimately defined by an architecturally-striking stone band running vertically up the façade that will ensure a timeless elegance. “The sophisticated suites have been designed with expansive south-facing terraces, tall ceilings and generous rooms with open oorplans, well- suited for entertaining,” says Raw Architects Partner, Roland Rom Coltho. 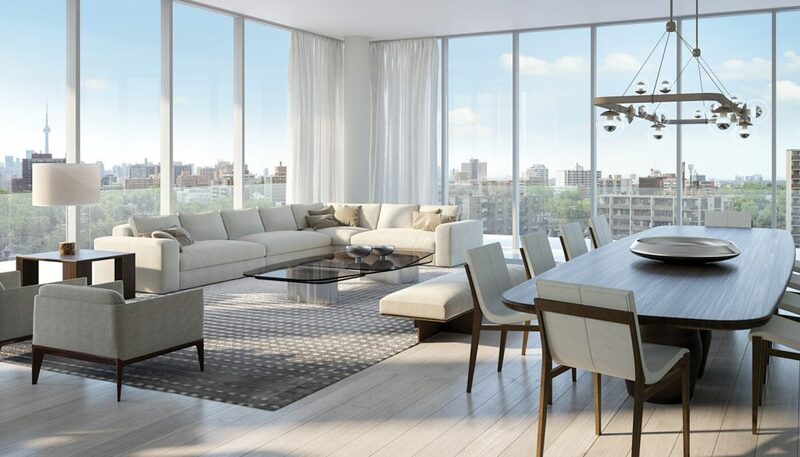 Suites will also boast floor-to-ceiling windows, wide-plank engineered hardwood flooring and gas barbecue connections on all balconies and terraces. The owner of the penthouse suite at 346 Davenport will also enjoy exclusive use of a private rooftop terrace and infinity pool. Kitchens will feature custom-designed European-style cabinets, integrated Miele appliances, 1.5-inch countertops and a kitchen island. The spa-inspired bathrooms will include frameless shower enclosures with stone tiling, contemporary custom-designed European-style vanity cabinets and natural stone countertops, as well as freestanding soaker tubs and rain shower heads in the master bathrooms. The ultra-spacious residences range in size from 1,016 to 5,062 sq. ft., with a selection of two- and three-bedroom suites available, many with a den option. Prices begin from $899,900. 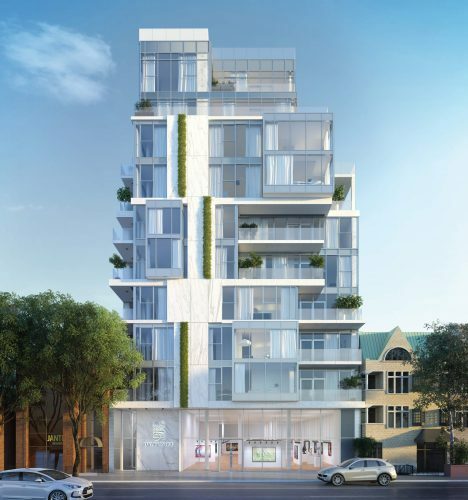 From its prime location, 346 Davenport is in close proximity to many of Toronto’s nest restaurants, chic boutique retailers, local grocery and specialty food purveyors, lush landscapes and greenspaces, five-star hotels and lively entertainment options. For more information, visit 346davenport.com or visit the sales centre at 346 Davenport Rd. Hours of operation are Monday to Wednesday from noon to 6 p.m.; Thursday from noon to 7 p.m.; and Friday from noon to 5 p.m.
Dupont St. & Davenport Rd.